Washington (CNN) - The plot to save Thad Cochran was hatched at Off The Record, the subterranean bar inside the Hay-Adams hotel in downtown Washington. In mid-June, just days before the Mississippi Senate runoff election, Tom Donohue, the hard-nosed CEO of the U.S. Chamber of Commerce, was commiserating over drinks with Scott Reed, his senior political strategist, and Chip Pickering, a former Mississippi congressman-turned-telecom lobbyist. The ‘Inside Politics’ Forecast: Adelson’s $100 million dollar bet? WASHINGTON (CNN) - Big 2014 midterm races and calculations, and a 2016 wrinkle or two, filled a trip around our Inside Politics table to close this Sunday's program. 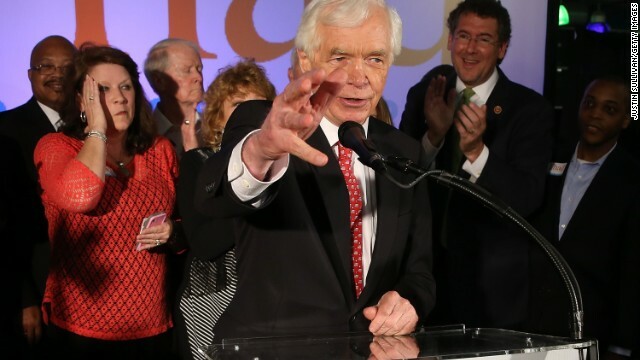 (CNN) - The Chamber of Commerce has turned to a big gun as it tries to help Republican Sen. Thad Cochran of Mississippi across the goal line in next Tuesday's primary runoff. 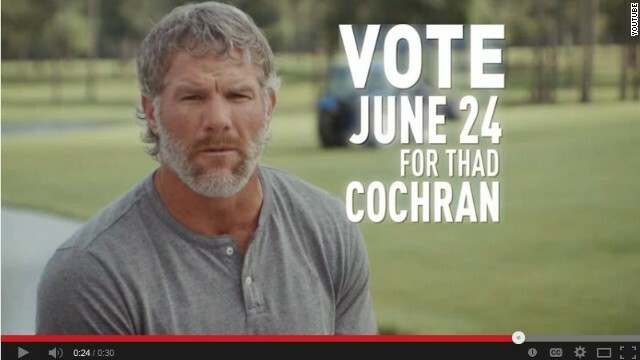 Mississippi native and retired NFL star Brett Favre, who was named MVP and led the Green Bay Packers to a Super Bowl win in 1997, stars in the Chamber's new spot lauding Cochran and his efforts to help the state. 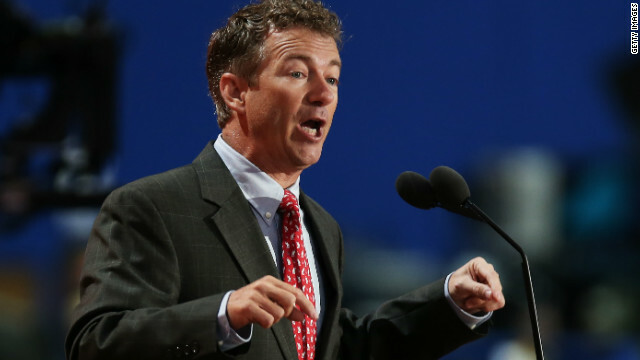 The 'Inside Politics' Forecast: Will the Tea Party be 'humiliated' in the primaries? While much of political Washington was recovering from “prom night” – the annual White House Correspondents’ Association Dinner – our ‘Inside Politics’ family was up early to get you ahead of the big political stories to come. Washington (CNN) - The U.S. Chamber of Commerce says it's launching six new television commercials this week in five states. Washington (CNN) – The president of the U.S. Chamber of Commerce vowed Wednesday that 2014 will be the year his organization pulls "out all of the stops" to pass immigration reform, pledging that the Chamber will turn the 2014 midterm elections "into a motivation for change." "We're determined to make 2014 the year that immigration reform is finally enacted," Donohue said at his 2014 State of American Business address. "The Chamber will pull out all the stops – through grassroots lobbying, communications, politics and partnerships with unions, faith organization, law enforcement and other – to get it done." 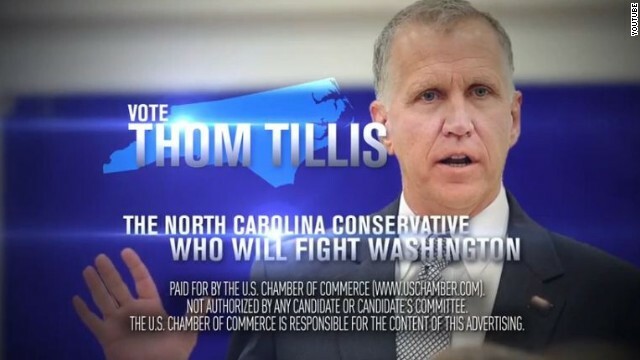 Washington (CNN) - As the Senate prepares for a crucial week in the immigration debate and a possible final vote on the comprehensive reform bill, the Chamber of Commerce is using some of the opponents' language in a seven-figure ad campaign to instead push for its passage. In a new national television ad as well as in radio commercials, the chamber is emphasizing how some leading conservatives are supporting the bill, which includes enhanced border security and an eventual path to citizenship for those already in the country illegally if they meet certain conditions. 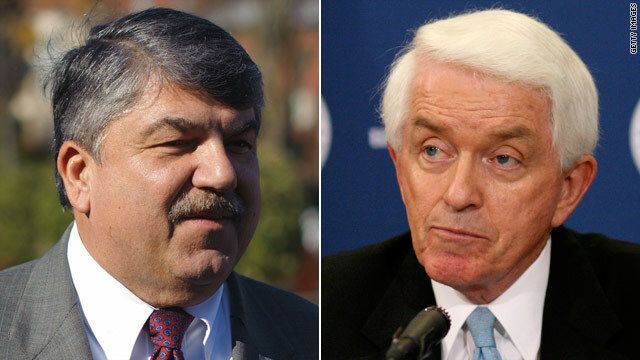 Washington (CNN) - AFL-CIO President Richard Trumka and Chamber of Commerce President and CEO Tom Donohue are working together to reach an understanding about a guest worker program. This was the topic of discussion at a recent breakfast between the two men, who usually find themselves on opposing sides of the negotiating table. 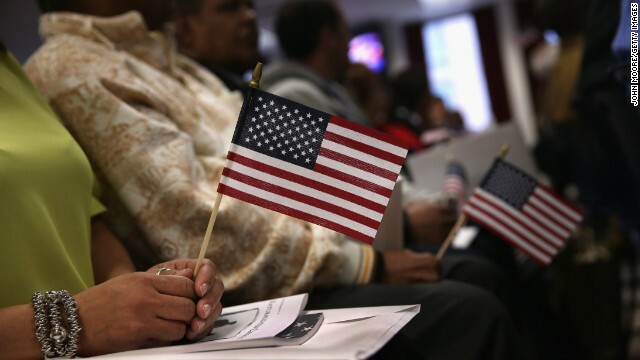 The guest worker program has been a flash point in the immigration debate. It divided the labor and business communities during the 2006 immigration battle when the Chamber fought to increase the number of temporary workers and labor pressed to keep that number low in the name of protecting its members. Washington (CNNMoney) - Most of the $36 million that the U.S. Chamber of Commerce spent on its pro-business agenda this election went down the drain. 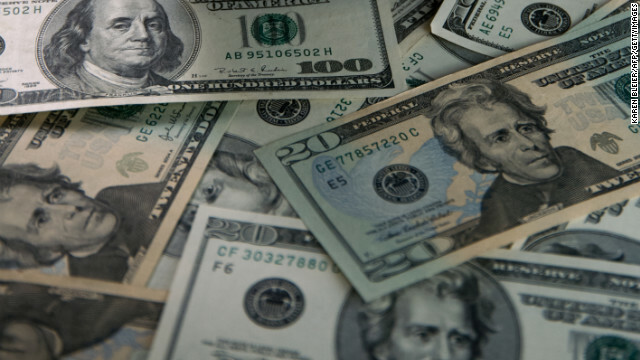 According to federal records compiled by the Center for Responsive Politics, a watchdog group, $29 million of the money was spent in races that the Chamber's favored candidate lost.